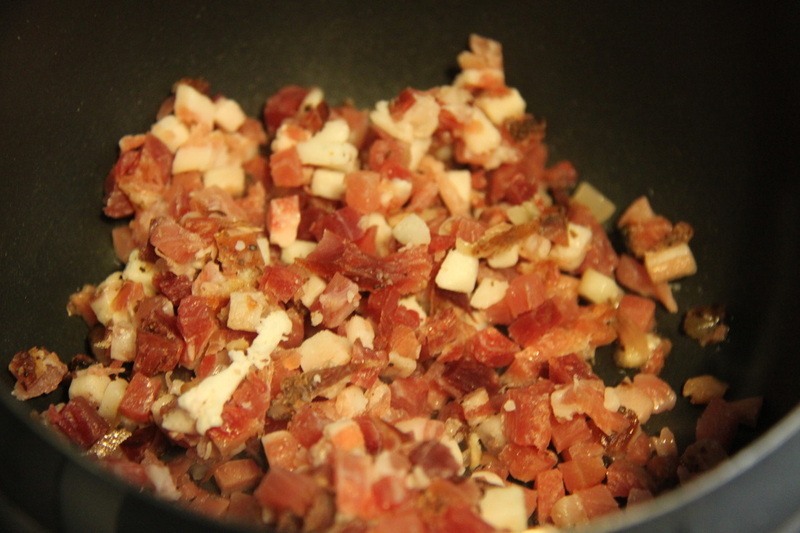 ​First, fry your bacon cubes. 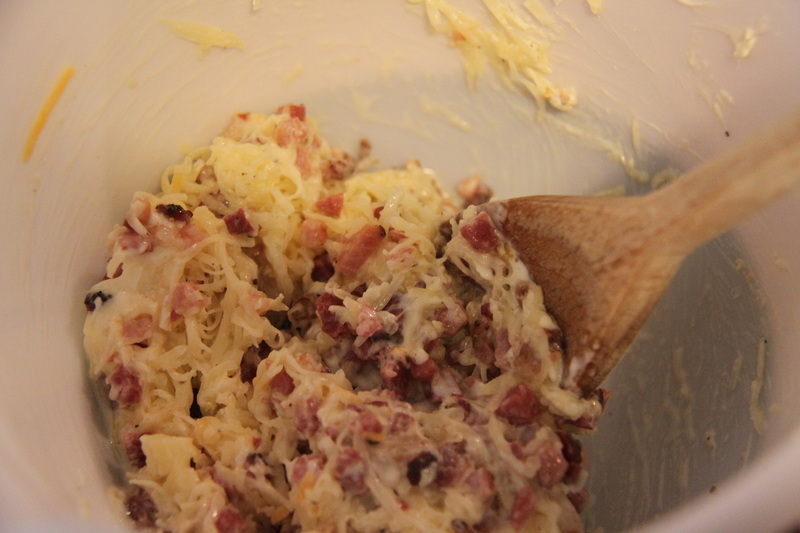 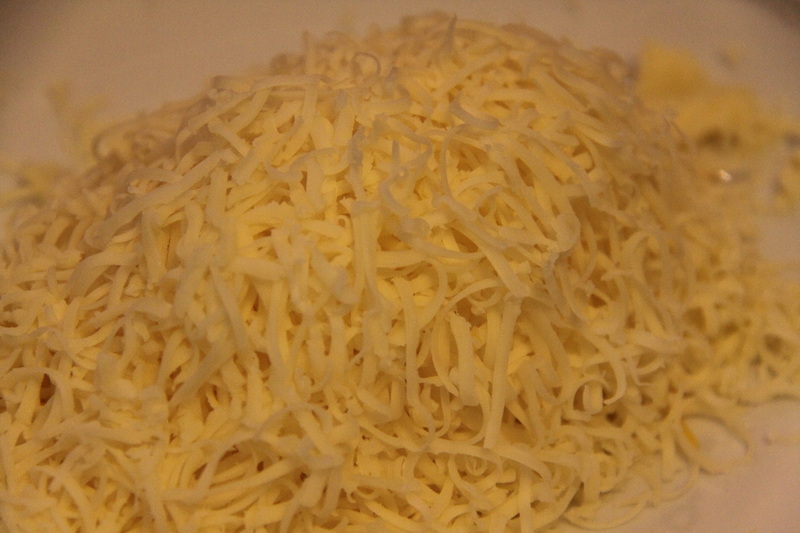 Once they are ready, mix them with the (lighter) cheese. 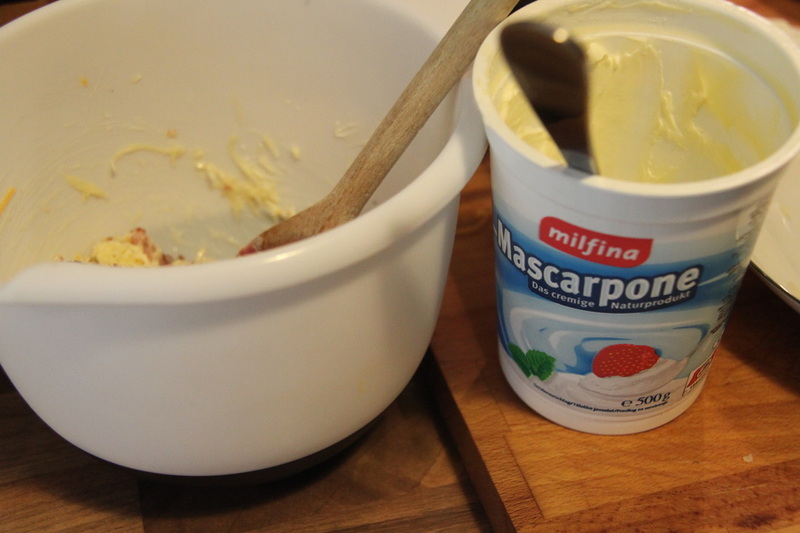 Add some Mascarpone until you get sticky consistency. 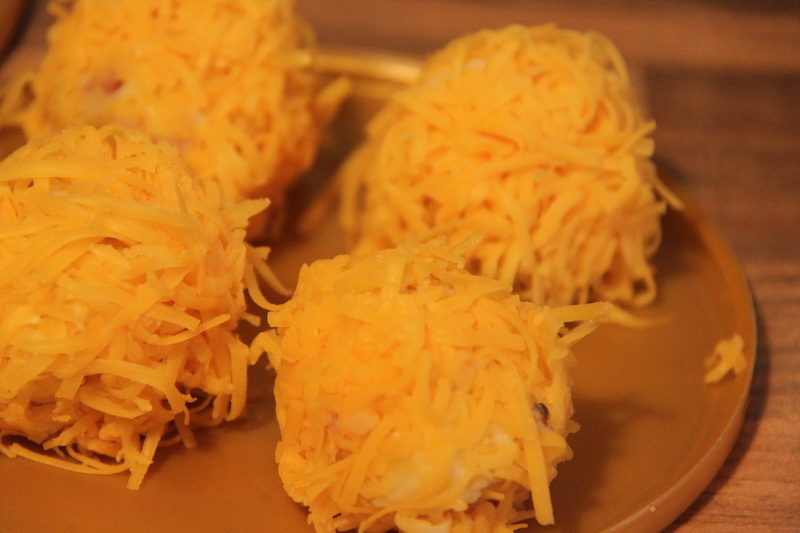 Stir well, then form into bite-size balls. 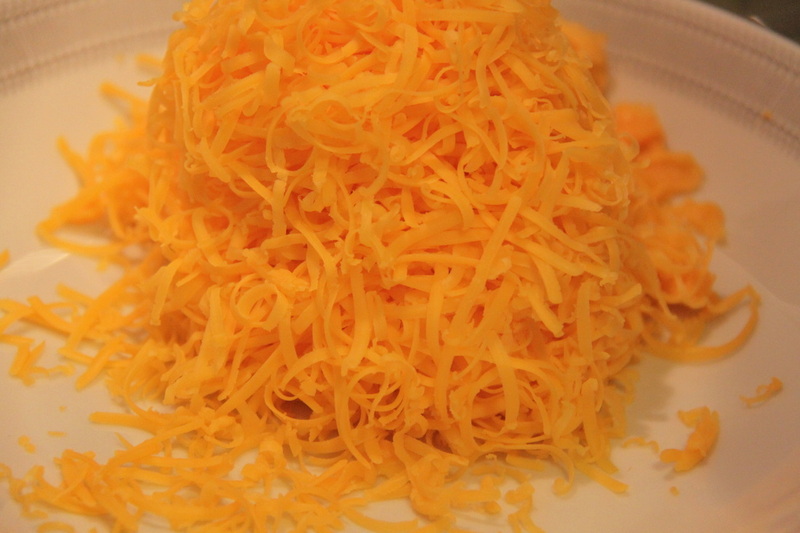 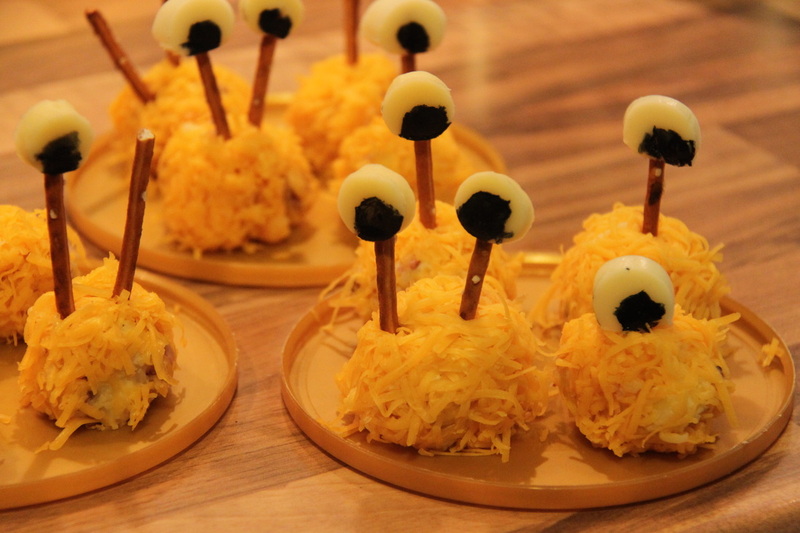 Roll your balls in grated cheddar. 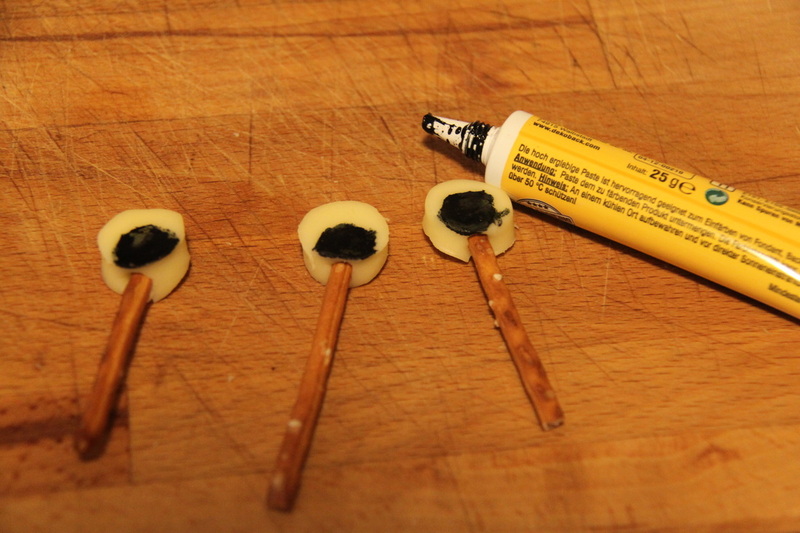 Cut out eyes from the lighter (coloured) cheese and attach to soletti sticks. 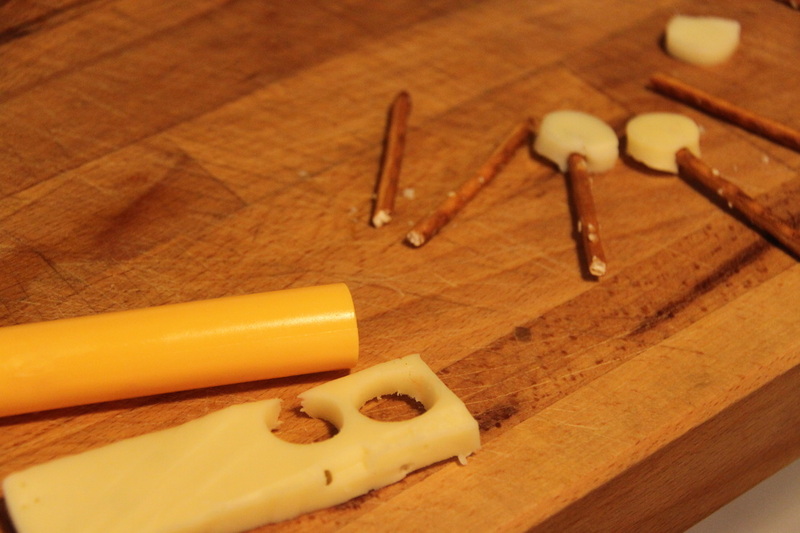 NB: string cheese doesn't work well here, as it breaks apart. 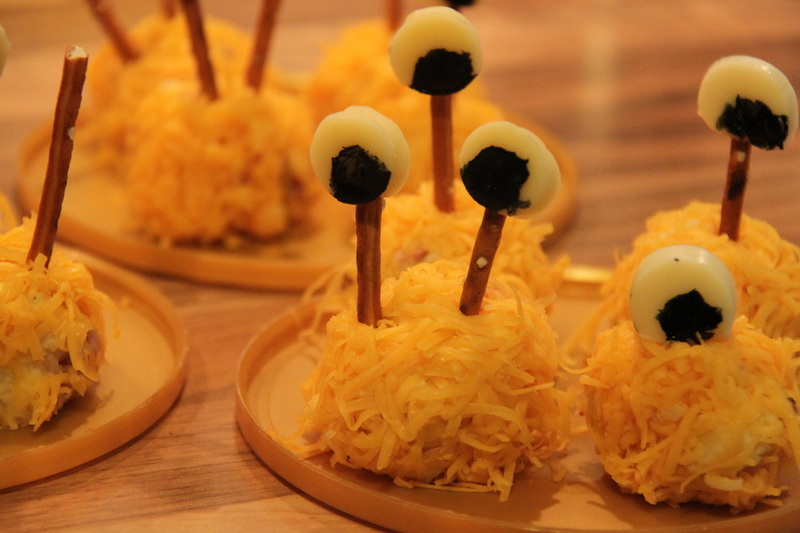 (optional) Add black food colouring to eyes to make them scarier.